Catherine (nee Casagrande) Byrne, 75 of Wall Township, peacefully passed away at her home with her family by her side on Sunday morning, August 19, 2018. Cathy was born in Lakewood on October 11, 1942. She graduated from Toms River High School South in 1962 and the Ann May School of Nursing, formerly Fitkin Hospital, in 1963. 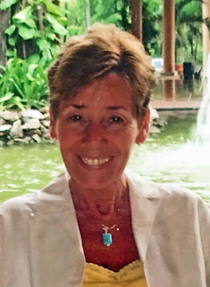 Cathy's nursing career included working at Lakewood Hospital and Jersey Shore University Hospital. In Later years as her family grew older she enjoyed working part time at Monmouth Cable Vision as a customer service representative for 17 years. Cathy's world revolved around her family, especially her grandchildren, who affectionately called her "Mimi." Cathy is predeceased by her parents Alfred and Alice Casagrande and a brother Dr. Alfred Casagrande, M.D. Surviving are her beloved husband of 53 years, Frank and their children; daughter, Christine and her husband Michael Adams; son, Greg and his wife Megan along with 5 grandchildren; Rachel, Samantha and Mackinley Byrne; Ashley and Ava Adams, and Cathy's brother Richard Casagrande.